The iconic El Capitan Hotel began its transformation last week as crews start the demolition phase of the hotel renovation project. The 24-month facelift will replace its one-story annex with a four-story hotel wing, and completely remodel the adjacent 90-year-old hotel building. The two structures will be seamlessly connected and turned into a boutique hotel to rival those found in San Francisco and New York. It’s going to be a big win for Downtown Merced. It’s restoring a community legacy and it’s building an economic resource. This will be a huge economic driver for our community and one that makes a lasting impact. Crews began on Monday February 5th, 2018 with abatement and interior demolition of the one-story building that fronts Main Street, a process expected to take about two months. Then the whole building will get leveled before it’s replaced with a modern four-story hotel wing. 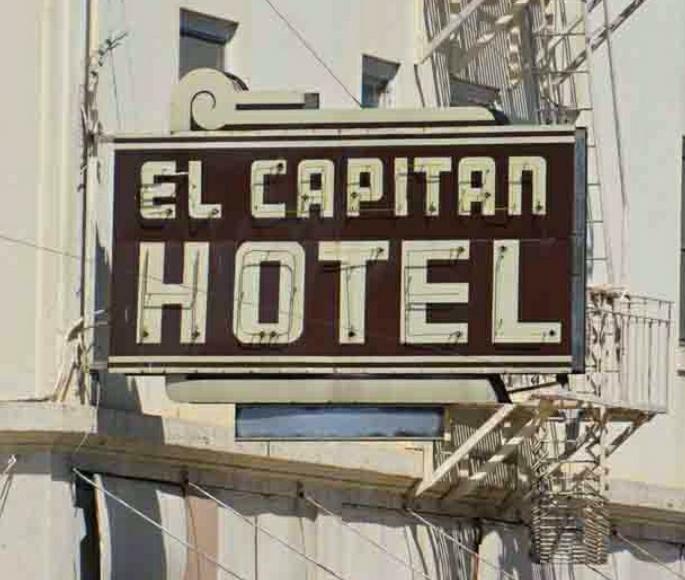 The historic El Capitan Hotel itself will be renovated and when completed the whole project will be connected and share common floors. When it’s completed the 114-room boutique hotel will have a restaurant, coffee shop, meeting rooms and retail space built around a courtyard. The new El Capitan will broaden Merced’s lodging choices and enhance Downtown hospitality. The hotel is expected to be open by 2020. The San Francisco brand is known for creating authentically local and eclectic experiences at its boutique hotels, each of which is an original concept designed to reflect its location. Joie de Vivre manages the largest collection of boutique hotels and resorts in California, and has other properties throughout the country. The firm has hotels in Chicago, New York and Washington D.C., as well as, San Francisco, Monterey and Carmel Valley. The original El Capitan, built-in 1872 near 16th and N streets, played host to dignitaries such as President Ulysses S. Grant and travelers heading to Yosemite. It was moved to its current location and an annex built-in 1924. The original hotel burned in 1931 and the annex was remodeled to serve as the stand-alone hotel that people know today. There hasn’t been any major exterior remodeling since 1936.